You NEED to get the walkway raised. In fact, you HAVE to do it yourself. Find the correct route to the control room and do not let ANYTHING stop you. 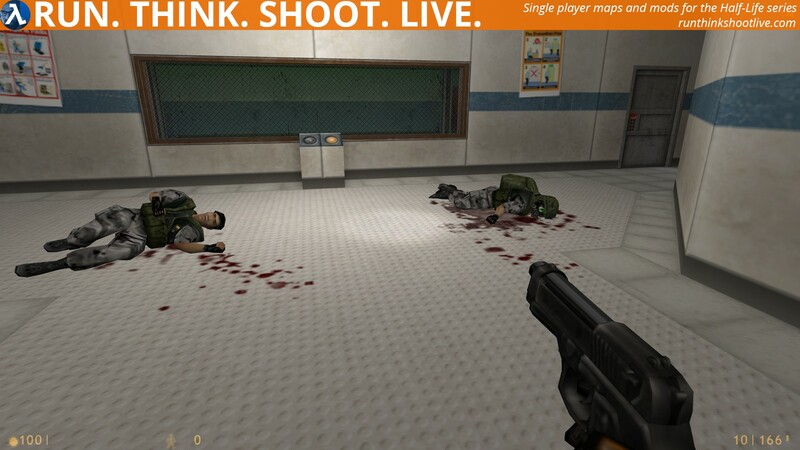 Copy the BTG folder into your …\Steam\SteamApps\common\Half-Life\ folder. Bridge The Gap should now be listed in your Library tab. As the readme says “The closest thing to a demo for The Core that will ever exist”. You can really see the quality shine through: it looks good, it has nothing wasted, it contains a variety of area styles and combat situations. Finding fault would be nitpicking. For about 10 minutes you get a chance to see how cool The Core is going to be. Go play this now. It won’t blow you away but it will give you pleasure. Indeed a lovely little package. Fantastic work Urby and even if it’s short it’s well worth to play. If you haven’t done so already do not watch the replay of Phillip play the mod first and then watch his replay in order not to spoil yourself the short experience. The texture usage is brilliant and so are the lights that differ in every room yet are somewhat realistic too. While some other rooms might look like a cool sci fi environment. The monster placement was well made as well. That plus few riddles rounding this small map very well up. If the texture are an indicator for “The Core” then I totally agree with Phillip. This is indeed the closest thing we’re going to get to a demo of “The Core”. So check it out people. I hope it won’t take much longer for their mod to get released. 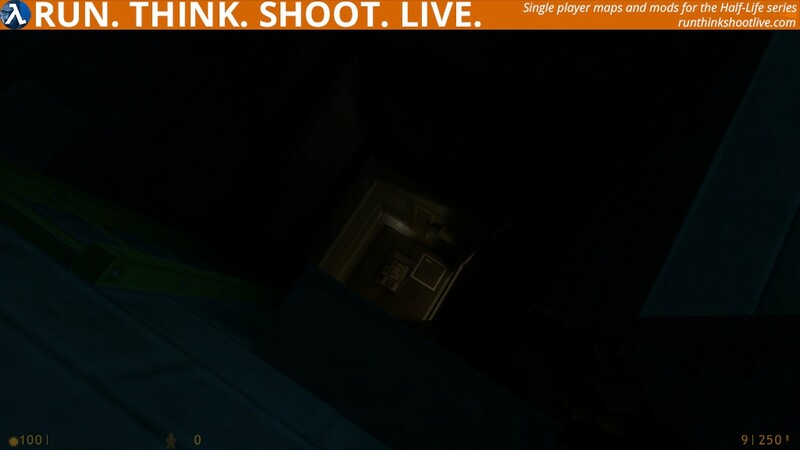 Solid little indoor Black Mesa styled map here. The needed bridge was obvious right away, but of course you have to work through the rest of the map to finally cross it. 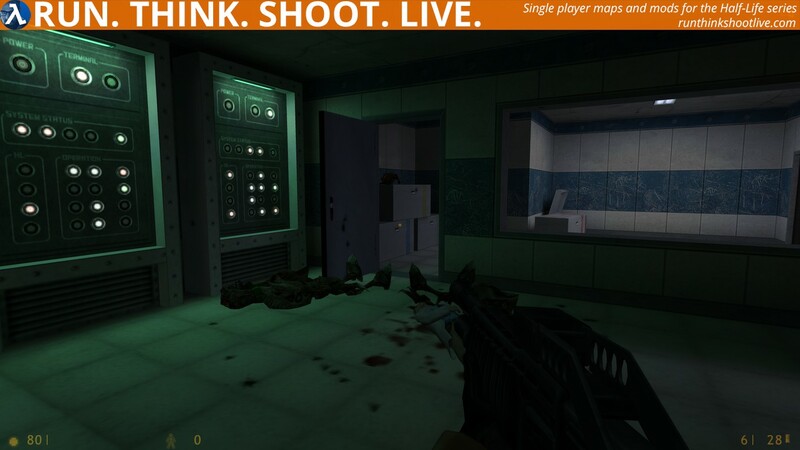 This map had a nice mixture of enemies and they are well used. I liked the minor puzzle with using the moving crate to get across the top of the warehouse, took me a second to figure it out. Short but sweet, and it doesn’t try to do too much. A solid goldsource addition to BridgeVille. Fun little map! Very well designed, every area is well used and detailed. Encounters are challenging and varied (though the soldiers were a bit tough to take on without any explosives). I loved the use of colored texturing for the different levels, and the lighting was great, though I’m not sure how I feel about the lens flare-ish effect. I don’t know what the core is, but I’m definitely looking forward to it now! Hi M82sniper – long time no see. I hope you’re doing great. This is “The Core” http://www.moddb.com/mods/the-core check it out. It’s 10 minutes of fun exploring and some minor combat. 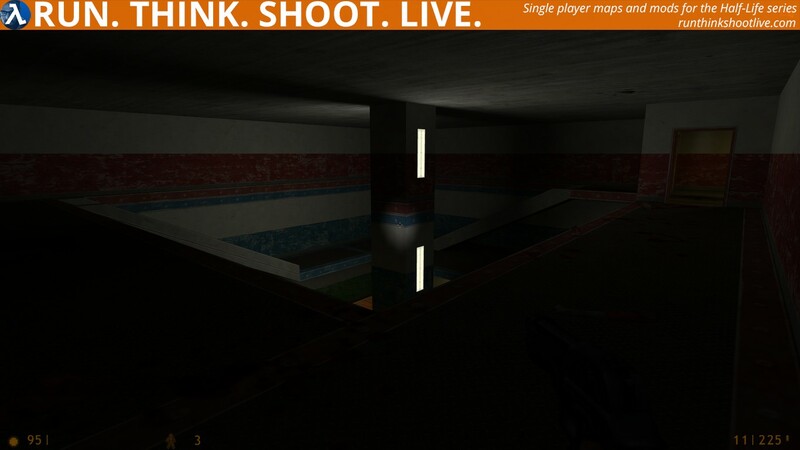 Pretty decent quality for a small HL1 mod. My only comment would be that it would be nice if the author made some of the crates breakable with goodies inside. FYI Phillip when I tried to login to the site today using the link on the home page it took me to what Google Chrome said was an insecure page. I added “https://” to the front of the URL and logged in that way, but you might want to check that out. A bit boring. You can play it later or now. But really good for HL1 mapping challenge. Mod is short but really cool! I like it because here custom textures. For the puzzle part: There are a bunch of puzzles, and they are easy too, but well think! 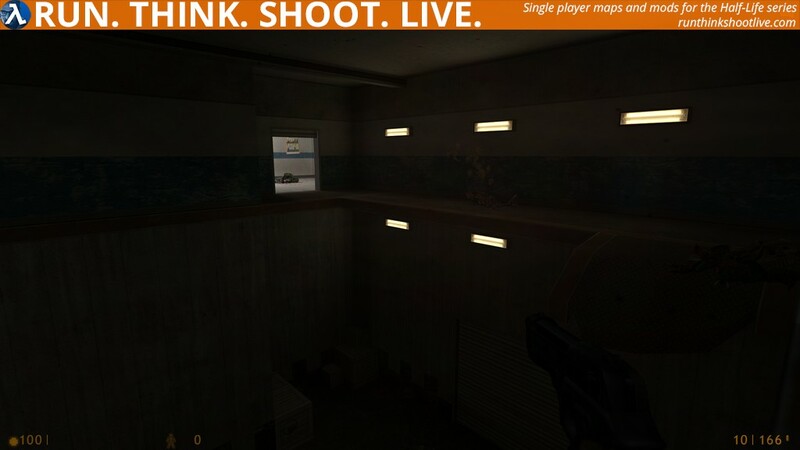 The Level design is really good! 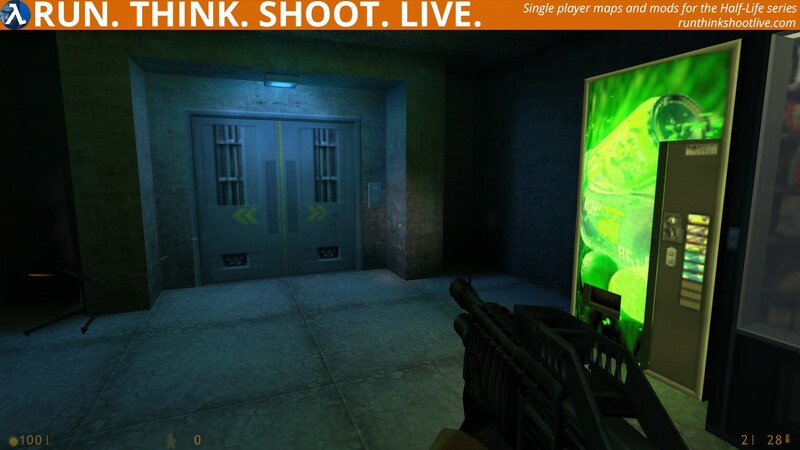 Make a half life map as usual, but adding some extras like the ladders in this sort of 3D, the Life dispenser with also this little 3D add, and those lens flares on light! So if you have some time to spend and you have nothing to do, go and check it out! 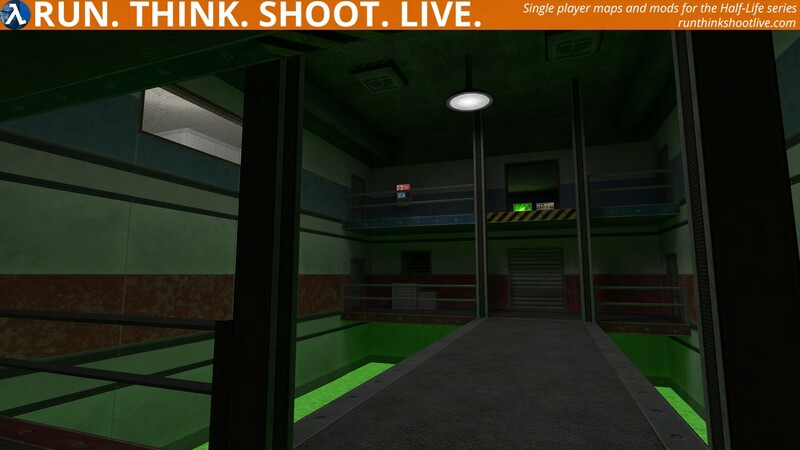 This was a little great HL1 old school map full of nostalgia. And I mean it! 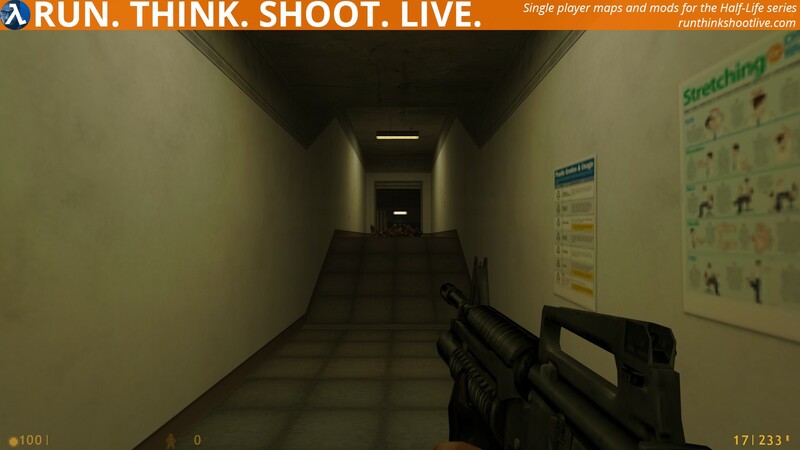 Because I haven’t played any HL1map in a very long, long time. The combat was short but fun, and fight against the grunts is always cool, is actually quite different than battle against the CMB. All in all a great short map to have some minutes of old school fun playing by it. It also fits perfectly into the bridge Ville competition as a bonus release! 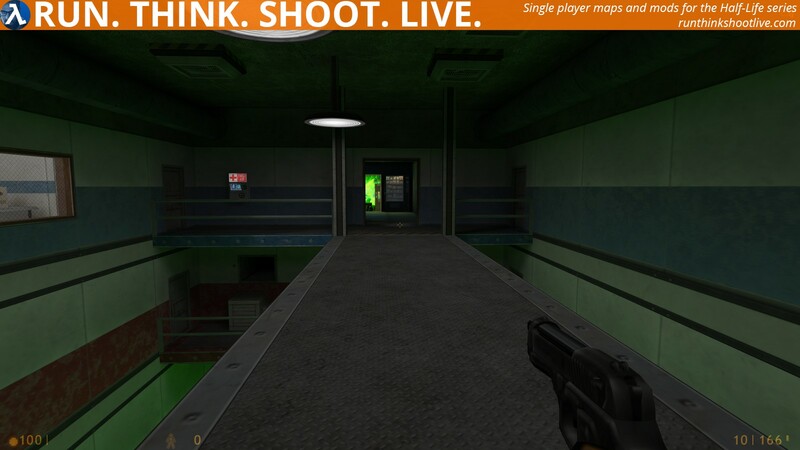 About that, I’d love to see a Half Life 1 mapping competition (yeah! I know there has been already one of those and it wasn’t quite successful, but I think it’s worthy try to summon it again!). Also, I’d love to see a massive battle competition, you know some releases where the player has to see or be part into a really massive battle inside the HL Universe. single map. Very nicely designed, however one part was annoying which is climbing up a pitch black elevator shaft. I thought you didnt like pitch blackness? Oh well. The map layout is also really good, I like it. Well, if this is what The Core will look like, then I just can’t wait to play it! This map not only looks great (obviously), but it also plays great. The areas you encounter are simple, but they’re designed in a way which feels both modern but also old-school. Techincally speaking, there’s little to no error. 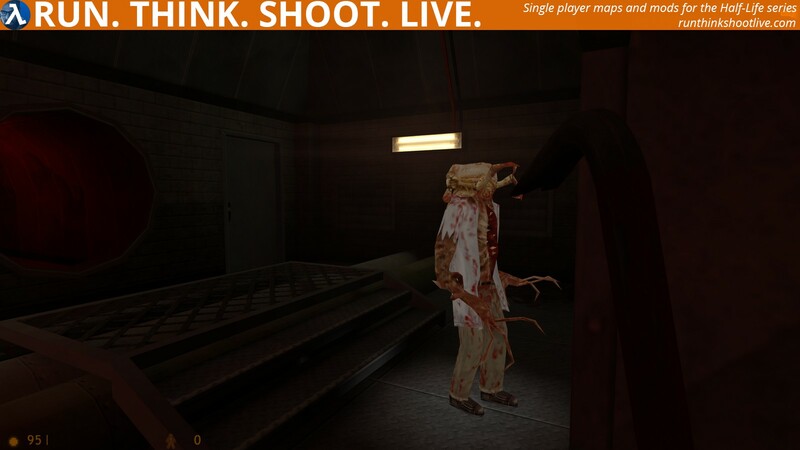 The only real problem I have is with the Steam version of Half-Life. What have they done to the sensitivity? I play Half-Life on the WON version, but for this mod I had to use Steam, so I just noticed it. Overall, this mod is simply GREAT and if you have 10 or 15 minutes of spare time or if you want to have a small preview of what The Core will look like, then try this out.